Approximately 14 miles east of Dangriga and forming part of a marine reserve, the 15-acre island of South Water Caye is one of the most beautiful on the reef. One can snorkel right from the beach, take boat trips to visit other cayes, or fin to the edge of the shelf where the deep ocean begins. 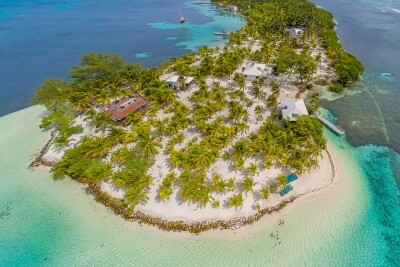 There are just three properties on the island, which is covered with coconut palms and mangrove and very quiet and peaceful – don’t go if you want nightlife or jet skis. The best end of the island is occupied by the very popular and locally-owned Pelican Beach Resort.